“My husband and I came out to work for our children but we couldn’t take them with us. We don’t have the time to take care of them or to cook for them…so we left them with their grandparents,” said Liu Jing*, a factory worker whose three children live with their grandparents in a village in Hunan, China. She is part of the “247 million” – the number of people who have migrated for work in China. She has been a factory worker for the past ten years, and like many in her situation, only returns home a handful of times throughout the year to see her children. If her situation can be represented by a number, so can her children’s. They belong to the “61 million”, the estimated number of children in China who grow up without one or both parents present. Behind these numbers however, are stories far more intricate, stories that have implications not only for society but for businesses as well. In early 2017, the Centre for Child Rights & Corporate Social Responsibility (CCR CSR) began surveying and interviewing hundreds of factory workers across China to collect data for a new study on migrant parent workers, which was published in June 2017. The study was a follow-up to similar research carried out in 2013 about why migrant parent workers left their children behind, the challenges they faced at the factories and how this impacted their work-related decision-making. This year’s follow-up also looked into these issues but dug deeper to understand the role and extent of factory and brands’ support towards their parent workers, forming one of the main pillars of the new study. While in 2013 most factories and their international buyers did not consider the family situation of their workers, a spate of highly publicised tragedies involving children left behind in their villages propelled the issue into the spotlight. This was compounded by sweeping changes to the socio-political fabric of China, including the abolishment of the One-Child Policy and the introduction of interim regulations on residence permits which is aimed at making it easier for migrant workers to access social services in smaller cities. However, there is still a long way to go to give migrant workers in all cities, large and small, access to social services. While these interim regulations are part of an effort to make things easier for migrant workers in terms of access to social services, these regulations are only being rolled out in smaller cities and not in the larger metropolises and so are only reaching a limited number of migrant workers. Has the situation improved for migrant parent workers in the manufacturing industry? According to CCR CSR’s 2017 study, three of the main challenges faced by migrant parent workers are financial pressure, lack of time to care for their children and not having anyone to look after their children when they work. “My parents always work on Saturdays, and sometimes on Sundays. 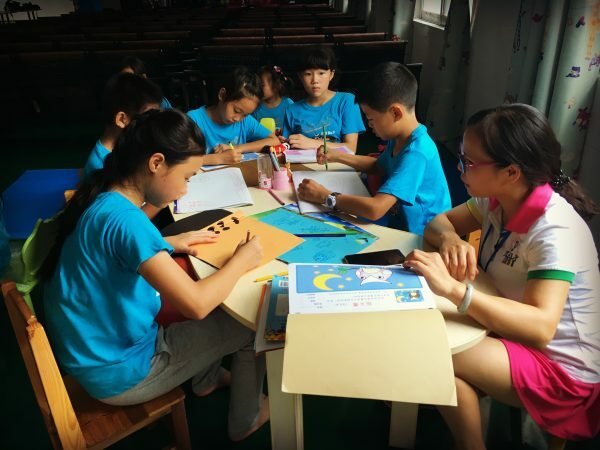 I once visited them at their place of work and saw lots of people working overtime and the conditions weren’t good,” said ten-year old Xiao Pan, who lives with her parents in Dongguan told us during an interview. “Taking a half day off is considered a leave of absence and we lose our 300 RMB full-attendance bonus. So that means when you take time off you lose out on hundreds of Yuan,” said Xu Ting, a mother of four who works in a factory in Guangdong. These challenges are often magnified by lack of childcare options in or near the factories and 40% of workers said they have no one to look after their children when they work. Lack of childcare is particularly pressing during the summer when the children are off school. As a result, many allow their children to roam around the factory or dorms unsupervised. In fact, 18% of workers who migrated without their children said their children occasionally come to the factory during holidays, according to CCR CSR’s new study. “My children have no place to go except for the dormitory, with no one there to look after them. Their main entertainment is watching TV. They get bored very quickly and I get really worried about them being unattended, so I bring them to the workshop. There they can do their homework by my side, or help me pack the finished products,” said Li Mei, a mother of two daughters aged eight and 10 from Sichuan Province who works in a garment factory. More and more international brands are supporting innovate solutions that tackle these challenges and Factory Child Friendly Spaces (FCFS) is one example. FCFS provides the children of workers with free on-site childcare during the summer school break while their parents work. It addresses a key need of both migrant parents living with their children and parents whose children come from the hometowns to visit during school breaks. It also helps to strengthen and improve the relationship between children and parents, which is often strained by lack of time spent together. In 2016, five factories opened on-site FCFS for their workers, resulting in a 51% increase in workers believing that management understands their challenges as parent workers, a 28% increase in workers’ trust in management, a 26% increase in workers being satisfied with their factories, and a 33% increase in the percentage of workers planning to stay on for two years or more. These results also echo CCR CSR’s new study, which found that workers’ satisfaction with their factory and the length of time they plan to stay there is strongly linked to the perceived impact work has on their relationship with their children. Those who believed work had a negative impact on their relationship with their children were less likely to be satisfied with the factory and to stay on at the factory for two years or more. The results of the pilot programme were so convincing that the number of FCFS has more than doubled in 2017. While only 8% of brands participating in CCR CSR’s 2017 study supported migrant parent support programmes in their supply chains, the expansion of programmes like FCFS – fuelled by positive results, a strong business case and increased awareness among international buyers and factories – indicates that the situation is changing. Brands and factories alike are realising that what’s good for their parent workers, is also good for their business. “This is a very good project. We needed such projects for the satisfaction of our workers. Parents were very happy when they saw the progress their children made. I believe that the impact is long term and a win-win for all parties involved,” said one General Manager from the 2016 FCFS pilot scheme. the estimated number of children in China who grow up without one or both parents present. The Center for Child Rights and Corporate Social Responsibility (CCR CSR) has been a pioneer in consulting businesses on child rights since 2009, working in China, Hong Kong and Myanmar, Vietnam, Bangladesh and Malaysia. CCR CSR, a social enterprise, has extensive experience and expertise in helping companies improve, develop and implement sustainability strategies, programs and projects related to children, young workers and migrant parents. Read CCR CSR’s 2017 full study “From the Factory with Love: A Study on Migrant Parent Workers in China” here. *The names of those quotes in the piece have been changed to protect their anonymity.